This edition: Kool-Aid Cherry Drink Mix, which is made from nine separate ingredients that we’ve broken down in the exact order they appear on their website. 1) Sugar: An 8-ounce serving of Kool-Aid contains 16 grams of sugar, which is a considerable amount. The American Heart Association recommends that men consume no more than 36 grams and that women consume no more than 25 grams of added sugar per day. Too much sugar, if you didn’t already know, is terrible for you: A sugar-laden diet is associated with all kinds of ailments, from heart disease to depression. But then, this is Kool-Aid — what did you expect? 2) Fructose: Fructose is a type of sugar found in fruits and vegetables. It’s also found in many sweeteners, like high-fructose corn syrup, which is incredibly unhealthy. 3) Citric Acid: Citric acid is a sour flavoring agent derived from citrus, and it’s often used to make products like Kool-Aid practically immortal, with no major quality drop no matter how long they’re sitting on the shelves. 4) Ascorbic Acid: Ascorbic acid is just another name for vitamin C. It’s used as a preservative. 6) Calcium Phosphate: Calcium phosphate can be taken as a calcium supplement, but it’s also added to foods and drinks as a thickener or stabilizer, meaning this ingredient might help the Kool-Aid powder disperse evenly when mixed with water. All in all, the average person’s liver should be able to break down whatever minuscule amount of artificial coloring we consume with food and drink. 8) Red 40: Red 40, like many artificial colors, is known to be cancerous. But as Shanahan explained above, you probably don’t have to worry about the relatively tiny amounts found in Kool-Aid. 9) BHT: Butylated hydroxytoluene (aka BHT) is another common preservative added to prevent products from spoiling. Studies continue to go back and forth about whether or not it’s carcinogenic, so it’s hard to say for sure whether the small amounts found in Kool-Aid would cause you any harm. 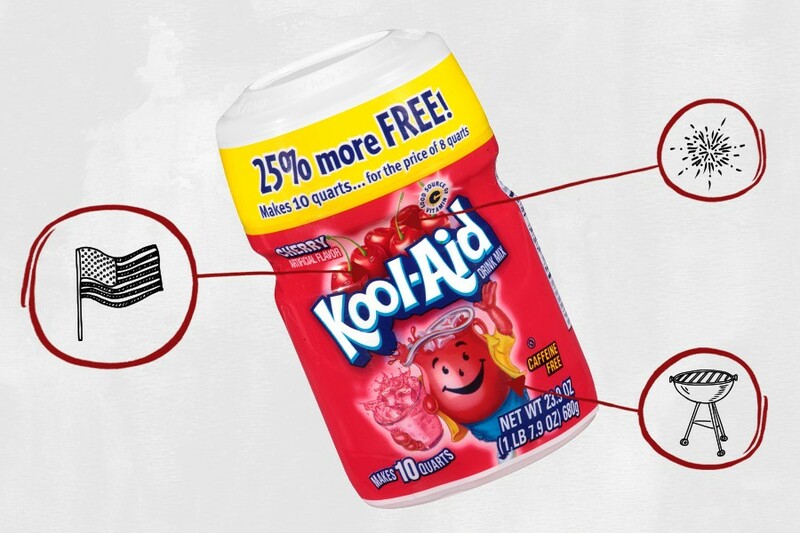 Kool-Aid is basically sugar pumped with enough preservatives to survive the End Times.